Dubbed as the “Big Chief”, Simon Morley is one hell of a founder. Specifically the founder of CT Networks (Cucumber Tony) and newest member to the TechHub family! Starting it’s days back in October of 2015, CT have come a long way, in terms of financial development as well as accumulating an amazing team, which basically consists of a whole load of more chiefs, ranging from business to support to marketing. To lay it out for you, “CT WiFi provides a simple, intuitive way to deploy WiFi networks.” What does that mean you ask? They administer a single dashboard to manage all your WiFi devices - “forget license charges, vendor lock-ins and over-priced hardware, our software works on over 1,200 devices.” CT puts an emphasis on 3 main areas; ‘Device Management’, which provides one with a simple way to remotely monitor networks, as well as the fact that it’s free for small business, ‘Guest Access’, equipped with a fully responsive splash page ranging from vouchers to paid access social logins, and ‘Fast Deployment’, priding themselves on a zero-touch, plug and play set up. Several pricing options are also provided, as previously mentioned, ranging from free for small businesses to £250 a month for the premium package, after that, you’d have to resort to the “contact us” button as you’re clearly in the big leagues! On their plans page, you can also find a mass of answered common questions as well as an incredibly extensive (no kidding) Full Feature List. One undeniably great feature of their site is their “Discuss” Page - it’s dreamy for anyone who’s looking for answers from actual people, not the common bots we’re unfortunately faced with all too often. You can track replies, views, activity and break your interests down into categories. 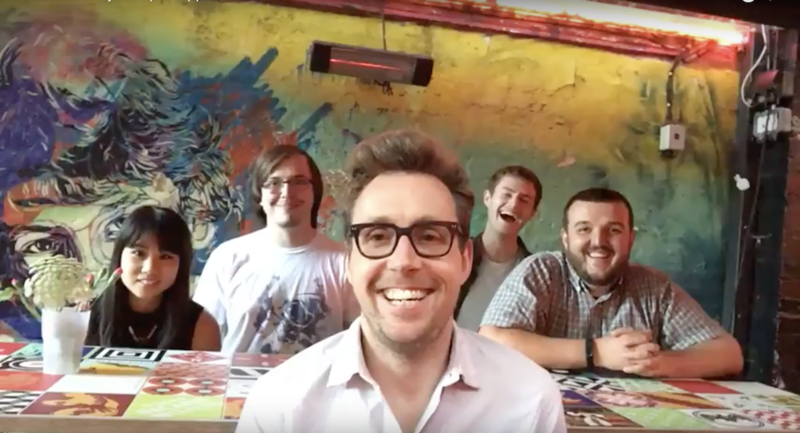 Still not convinced you need to get in contact with Simon (or hunt him down for a free tote bag), check out some “Out & About” videos which show the guys in action, engaging and immersing themselves with the curious minds and loyal customers! P.S. Find them on Twitter here! If CT seem like a great gang to you, and you want to immerse yourself in a global community of like-minded individuals all working on tech based products, give us a shout by visiting the TechHub site! Wanna become part of the TechHub community? Then schedule a tour at TechHub London if you are a scale up or TechHub @ Campus if you are early stage.